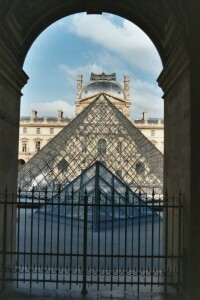 Today I decided I was going to see the museums high on my list, The Louvre , and Musée d'Orsay. 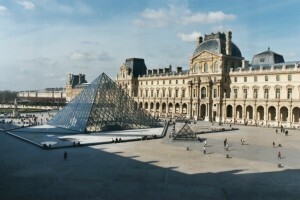 The Louvre was by far the most impressive museum I visited the entire trip. I can't even remember how many times my jaw dropped in complete awe over the magnificence of some of these works of art. 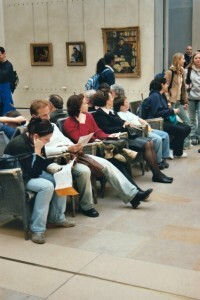 I had arrived at the Louvre soon after it opened so I decided I'd start with the Mona Lisa since I figured it would be crowded later in the day. 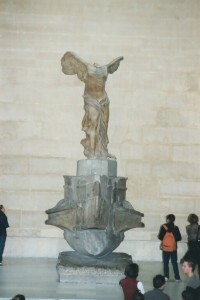 As I wound my way through the museum I passed The Winged Victory of Samothrace from 190 BC. Pictures don't do this justice. I then walked into the gallery of large format French paintings where my jaw hit the floor. Some of these paintings must have been over twenty feet high and thirty feet wide with beautiful colors and exquisite detail. 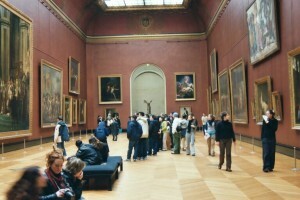 Since I wanted to see the Mona Lisa I decided to come back to this room later. When I finally got to the Mona Lisa it was a small painting behind a large block of glass of an image I had seen many times before. My impression? "That's it? Eh, I don't know what the big deal about it is." 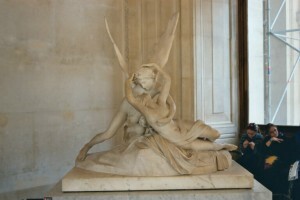 I found many of the other works of art in the Louvre to be much more impressive. I went back to the large format gallery where I spent a great deal of time studying true works of art. 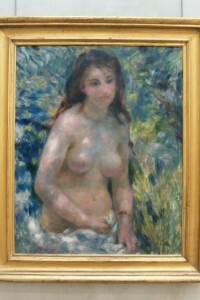 I was particularly impressed with this painting, which I don't know the name. I think it was Venus, Cupid, and Mercury. Napoleon III Apartments which were lavishly decorated with gold, crystal, velvet covered furniture, and beautiful murals on the ceiling. 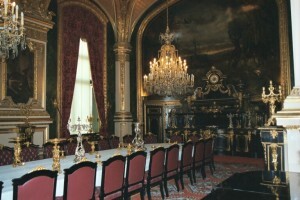 You can easily imagine the room filed with the high society of France. 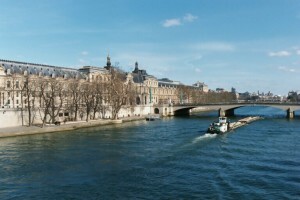 After visiting the Louvre I made my way across the Seine to the Musée d'Orsay. 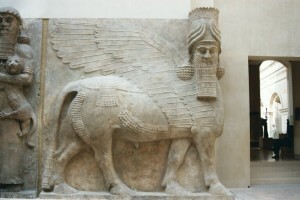 One of the things that really impressed me with this museum was the building itself. The building started its life as a railway station built for the 1900 World's Fair. 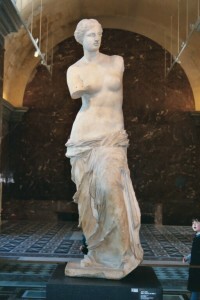 The museum is filled with work of some of the world's most renowned artists including Rodin, Renoir , Gauguin, Cézanne, Van Gogh, Seurat, Monet, Manet, Degas, and Caillebotte, just to name a few. 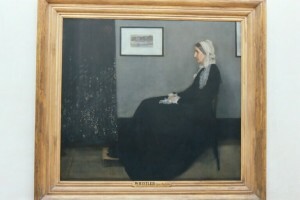 They even had Whistler's Mother. 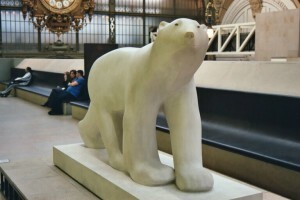 I was particularly fond of the cute polar bear. The people watching was interesting as well. 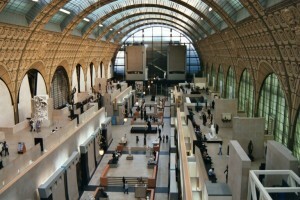 I stayed at Orsay until they kicked me out so they could close. Another wonderful museum. This was definitely my favorite day the entire trip.